Product prices and availability are accurate as of 2019-04-14 21:21:18 UTC and are subject to change. Any price and availability information displayed on http://www.amazon.com/ at the time of purchase will apply to the purchase of this product. 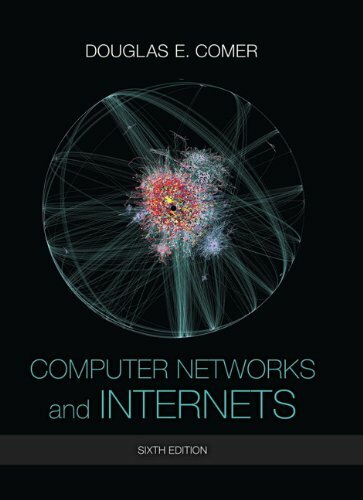 Appropriate for all introductory-to-intermediate courses in computer networking, the Internet, or Internet applications; readers need no background in networking, operating systems, or advanced mathematics. Leading networking authority Douglas Comer presents a wide-ranging, self-contained tour of the concepts, principles, and technologies that enable today’s Internet to support applications ranging from web browsing to telephony and multimedia. Comer begins by illuminating the applications and facilities offered by today’s Internet. Next, he systematically introduces the underlying network technologies and protocols that make them possible. With these concepts and technologies established, he introduces several of the most important contemporary issues faced by network implementers and managers, including quality of service, Internet telephony, multimedia, network security, and network management. Comer has carefully designed this book to support both top-down and bottom-up teaching approaches. Students need no background in operating systems, and no sophisticated math: Comer relies throughout on figures, drawings, examples, and analogies, not mathematical proofs. 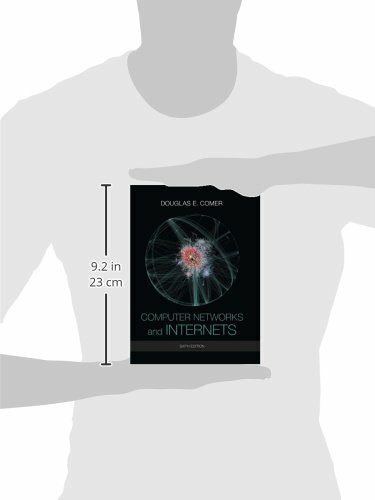 Broad Coverage of Key Concepts and Principles, Presented in a Technology-independent Fashion: Comer focuses on imparting knowledge that students will need regardless of which technologies emerge or become obsolete. Flexible Organization that Supports both Top-down and Bottom-up Teaching Approaches: Chapters may be sequenced to accommodate a wide variety of course needs and preferences. An Accessible Presentation that Resonates with Students: Comer relies throughout on figures, drawings, examples, and analogies, not mathematical proofs. Keep Your Course Current: Content is refreshed to provide the most up-to-date information on new technologies for your course.